TAS Approved Thatcher, Grant Batchelor recently completed his training to become an approved contractor for the application of Thatchsayf. 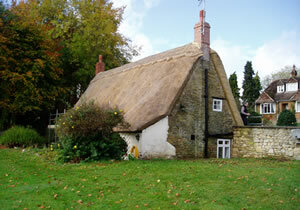 The training took place on a property in Weedon Lois, Northampton, which Grant had recently thatched. The treated roof area was 191m². 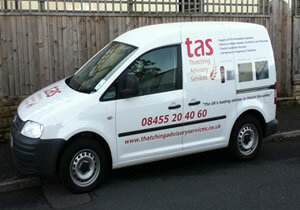 Thatching Advisory Services recently took delivery of a new vehicle. 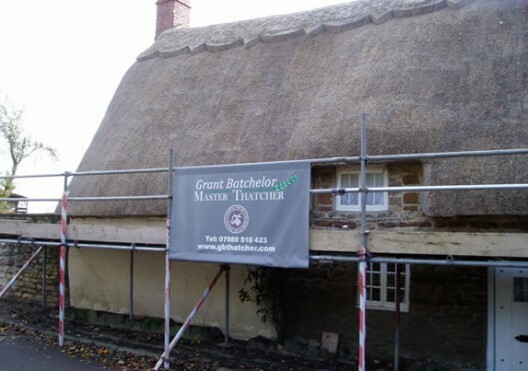 The vehicle has already started clocking up the miles following a number of Thatch Alert installations and Thatchsayf spraying contracts across the country. The most recent being an installation of Thatch Alert at the National Stud on Newmarket Racecourse on behalf of the Jockey Club. 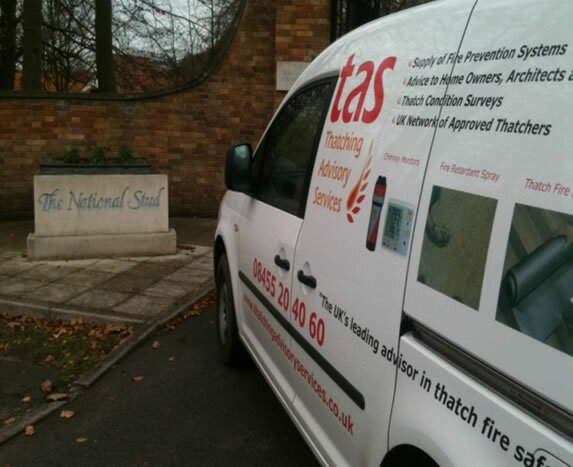 Thatching Advisory Services were invited to speak at the Suffolk Preservation Society autumn conference – ‘Fire and Thatch: a burning issue’. Rob Norcott spoke and carried out a presentation to an audience of over one hundred property owners as well as a distinguished group of experts, including the insurance industry, English Heritage, academics, research scientists, representatives from the fire service and the thatching craft. The talk and presentation, which highlighted the importance of thatch fire safety and prevention, was very well received. Rob was also able to assist delegates and thatch owners in understanding the range of TAS services and products available.